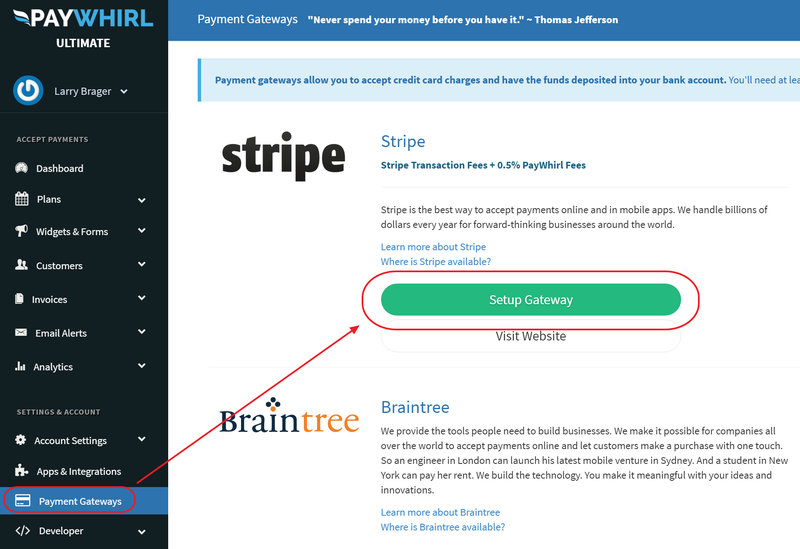 Connecting to the Stripe payment gateway is quick and easy. Connect your existing account or setup a new one. To start taking payments you need to connect to a live payment gateway. The Stripe gateway is available on all plan levels. If you don't already have an account with Stripe you can sign up in a few minutes. They support businesses in many different parts of the world. 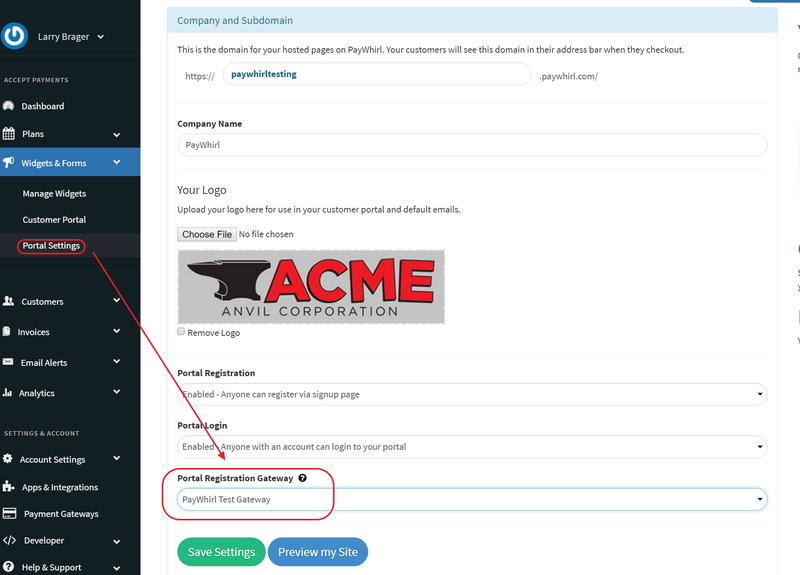 To connect (or sign up) to Stripe navigate to "Payment Gateways" in your PayWhirl account and click "Setup Gateway" next to the Stripe Logo. If you already have an account you can login connect it. If not you can create a new Stripe account. Once you have logged in you will be prompted to connect your account. 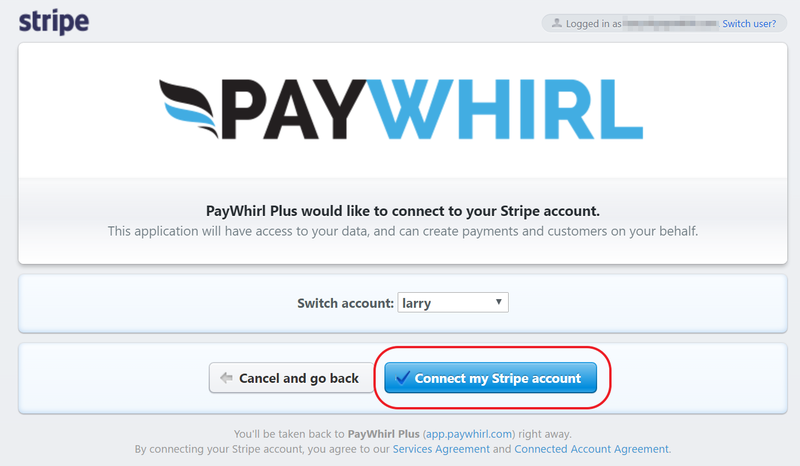 Confirm the permissions to connect Stripe to your PayWhirl account. When you are ready to go live make sure to enable the gateway both in the widget's advanced settings and in the customer portal. 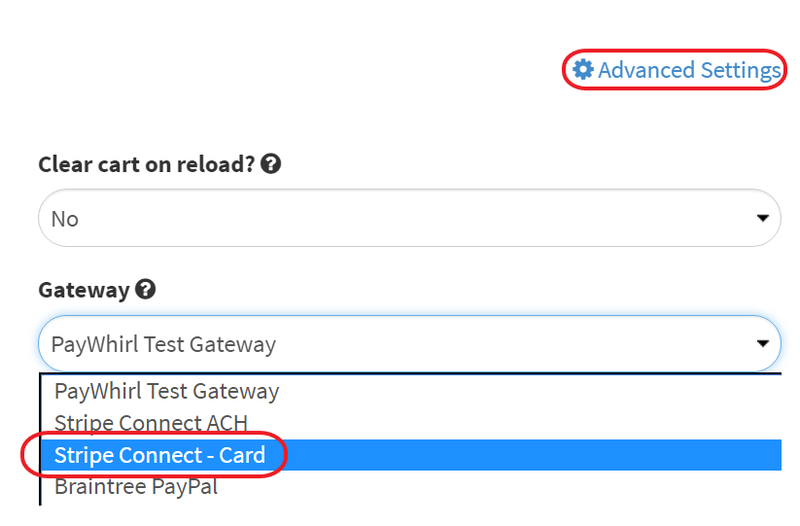 By default the widgets and customer portal are still connected to the Test Gateway. Navigate to Widgets and Forms and click 'Edit' next to the widget you want to switch. At the bottom of the page click 'advanced settings' to select the gateway. Next enable Stripe in the Customer Portal. Click on Portal Settings under the Widgets and Forms menu. That's it you are ready to take live payments with Stripe and PayWhirl. Note: Stripe's transaction fees apply to all transactions processed through PayWhirl and are in-addition to PayWhirl fees.